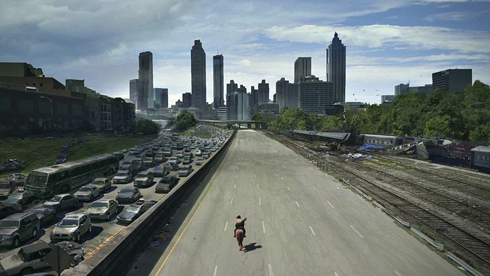 To be fair, the view from the Jackson Street Bridge in Atlanta, Georgia was already popular prior to appearing in the very first episode of AMC's The Walking Dead. There's no denying however, that the iconic scene of Rick Grimes riding horseback into a post-apocalyptic Atlanta did cement the location into pop culture. It is a beautiful skyline! 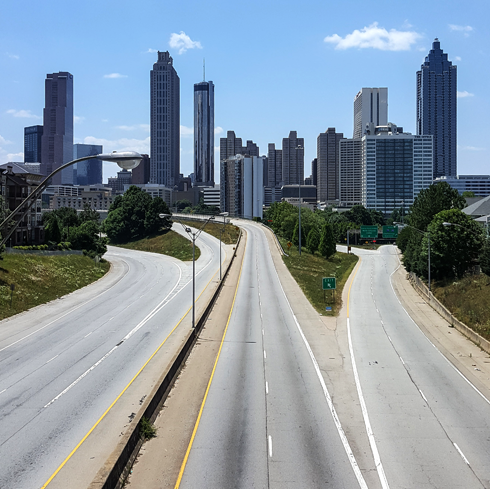 Naturally, as I was exploring downtown Atlanta I had to visit the Jackson Street Bridge to see the view for myself. A screencap from the first episode of The Walking Dead.